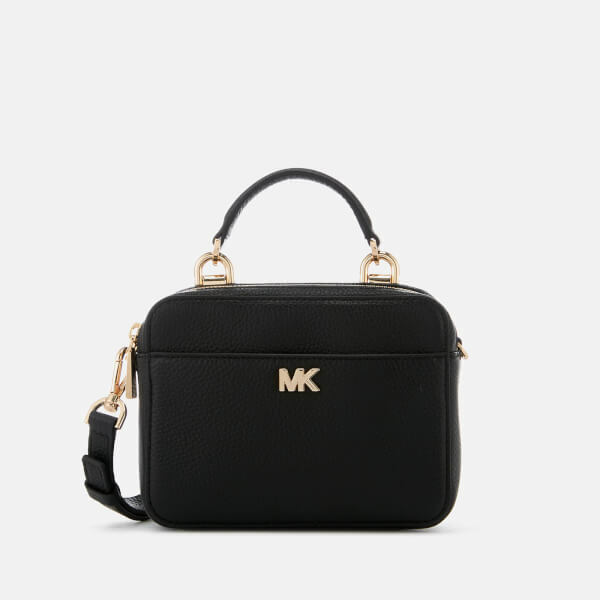 Realised in pebbled leather, the small cross body bag from MICHAEL MICHAEL KORS boasts a structured, rectangular silhouette with gold-tone hardware accents. 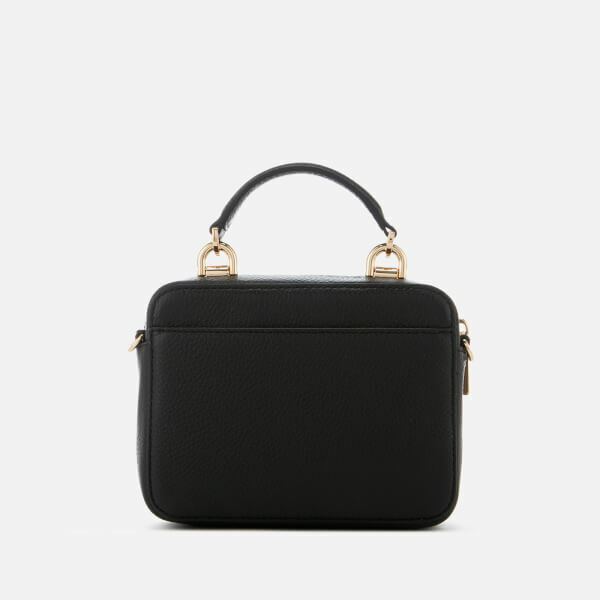 Secured with a top zip fastening, the bag’s fabric-lined interior houses three card slots and a slip pocket within. Two external pockets offer additional storage for smaller essentials. A grab handle and a thick, adjustable guitar strap with detachable lobster hooks provide versatile styling options. 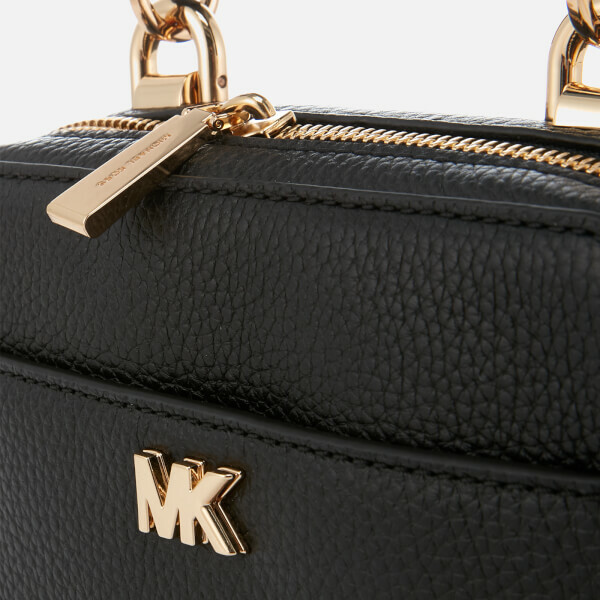 Signature appliqué ‘MK’ branding at the front completes the bag’s compact design. Dimensions: H: 14cm x W: 17.5cm x D: 6cm. Handle Drop: 6cm. Strap Drop: 52cm.